Your weekly dose of happy news Jump to media player An achievement 29 years in the making; a lonely monkey adopts an unlikely offspring and more besides. 'Brainwave orchestra' in first performance Jump to media player Four members of a Paramusical Ensemble, who are unable to talk or move, are using ground-breaking technology to create music with the power of their minds. Paralysed man feeds himself again Jump to media player Bill Kochevar can eat and drink again thanks to new technology which reconnects his brain with his muscles. Robot controlled by lady's brain Jump to media player US researchers have been experimenting with a robotic arm that can be controlled by a patient thinking about moving their own arms and hands. Brain-controlled drone shown off Jump to media player A drone specialist in Portugal demonstrates a flight controlled by human brainwaves, and suggests a future of large-scale unmanned flying. 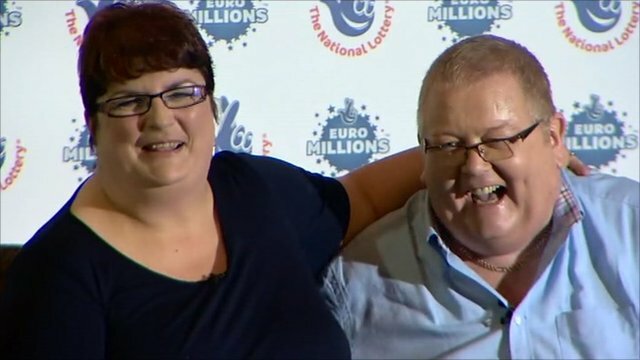 Euromillions winners 'tickled pink' Jump to media player A couple who scooped the largest Euromillions jackpot of £161m have described how they were "tickled pink" by their win. An achievement 29 years in the making; a lonely monkey adopts an unlikely offspring and more besides.